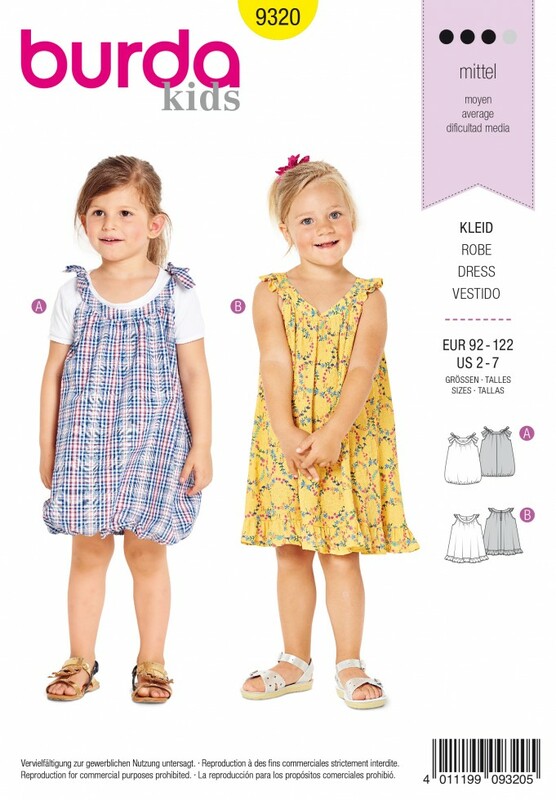 Airy summer dresses in different styles. The balloon hem of view A is shaped with shirred elastic. Frills adorn hem and neckline of the loose fitting dress view B.